Congrats! 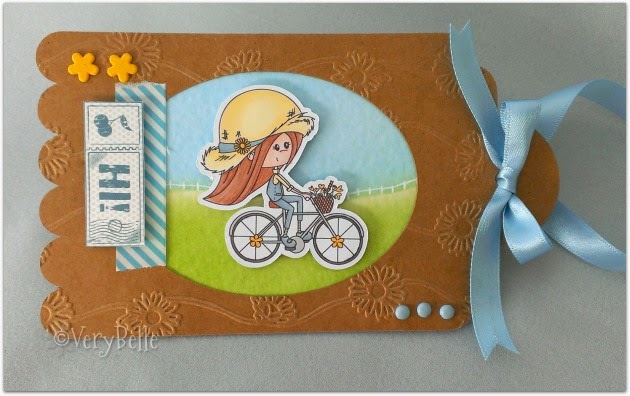 This is a super cute tag with the embossed background and accessories. Very Belle you've just won a personalized badge to proudly display on your blog plus a 15% OFF coupon at A Random Fan. I'm sad to say that A Random Fan will not continue it's sketch challenges. This is our last one. Make you guys check out our other regular challenge. We will also have some new changes that will occur in June. Hope you guys stop by to check it out. Sorry to hear that this is the end of the sketch challenges Sherry!